Get ready for another addition to The Blacklist! The NBC TV show drama has been renewed for a fifth season. James Spader and Megan Boone star in the drama. 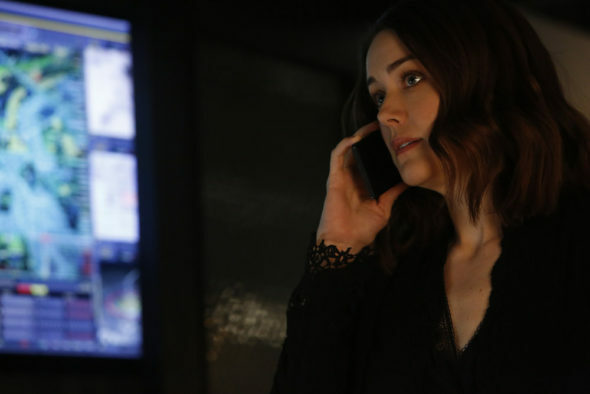 Although this season the series was joined by a spin-off, The Blacklist Redemption, is it not expected to return. Each week on the NBC series, viewers watch the characters played by Spader and Boone track down bad guys featured on Red’s blacklist. Season four of the drama started off with a large drop in the ratings. That drop has only continued. Currently, the series is rated with a 1.03 demo rating and 5.402 million viewers. Still, Deadline has confirmed the season five renewal. The Blacklist will return this fall to NBC. Are you a fan of this TV series? Are you excited to see what happens next? Tell us what you think. Love Love LOVE BLACKLIST!!!!!!!!!!!!!!!!!! Reddington is a MARVELOUS character & James Spader plays him soooooo well!!!!!! THANK YOU THANK YOU FOR RENEWING season 6!!!! Love the show and the characters. I really hope Tom isn’t really dead. Please don’t cancel. I have watched the Blacklist from day one. I love the show. The Blacklist fits James Spader perfectly. Him and Megan play off each other so well. I never want it to end. Don’t mess with my Blacklist. I only started watching this summer. Looming forward to the new season. Sorry that Blaclist Redemption was canceled. Truely enjoy James Spader as Reddington. I really like the Blacklist. I look forward to watching every season.